There's an American Crafts DIY collection feature on the Paper Issues blog today, put together by the ever-fabulous Sherri Funk. This card is my contribution. I love the textures in this collection, from the vellum, to the polka dot (!) burlap, to the sparkle of the gold heart. If you're looking for some beautiful inspiration on how to use the products in the DIY collection, pop on over to the Paper Issues blog and have a look. 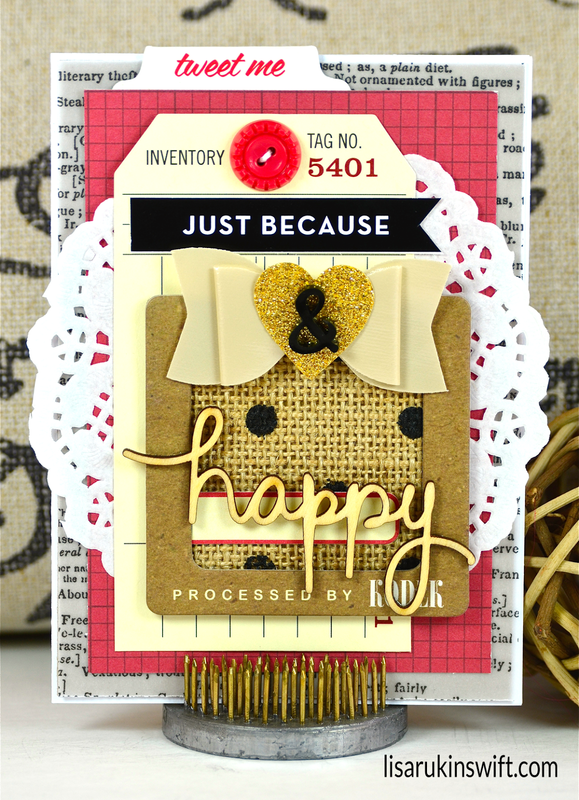 Really striking card, Lisa, and that polka dot burlap looks awesome! Oh my so much layering goodness! Love the dimension of your card, Lisa! Wow! So so pretty. It boggles my mind how many layers you can get on a card and make it rock. So much to love about this!! 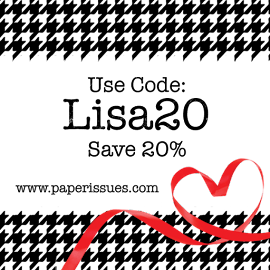 The things you mentioned - the burlap, the sparkly heart and the vellum!!! But add to that the fun, cool, slide case by Kodak, the gorgeous bow, and the doily!! Super well put together and just another card for me to love, to ooh and ahh over!! Well done and I popped over to see the other parts of Sherri's post!! Have a yummy day!! Such a great and fun card. So much layering and prettiness. Awesome layers Lisa, and I love the texture that the burlap adds to the card!! Gorgeous card! LOVE all the details (the burlap, gold heart, frame...) WOW!!! Beautiful! Love all of the different textures! Gorgeous! LOVING the colors and the bow!!!!!! Loving all the layers you used! Great card!